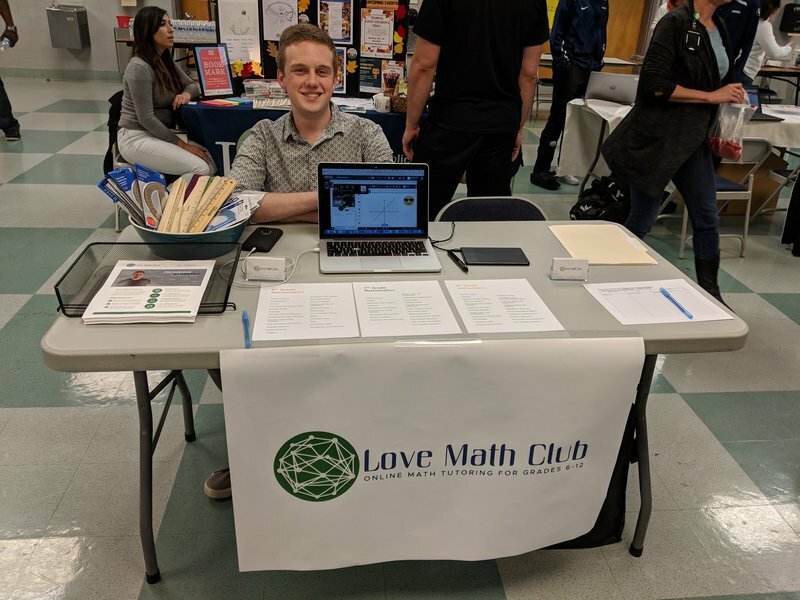 Love Math Club attended our first trade show event on Thursday, October 18, 2018. It was part of a Fall Festival event at Whitman Middle School in Alexandria, Virginia. They’ve hosted the annual festival at the school for years, but this year they invited local businesses who serve and support students. My table was positioned somewhere in between the librarians, the orthodontists, and the Tae Kwon Do instructors. Can you imagine what it takes to walk away from the kicking and punching demonstration to do math problems? Although I was the only person sitting at the table, I wasn’t alone. Sarah, the newest tutor to join the Love Math Club team, joined remotely through our virtual classroom environment. She helped to show how online tutoring works by navigating the software and interacting with the students. We played a game where you could choose any math topic, answer five questions, and win a prize if you get at least three correct. My favorite moment was when a student selected a challenging topic and answered something incorrectly. Rather than walk away, he got fired up and wanted to keep trying additional problems. I couldn’t pull him away! There’s no stopping this problem solver! He answered at least three correctly, so I congratulated him and offered a prize. But he insisted that he needed to keep going, asking if he could use a calculator for the next ones. He grabbed a flyer, turned it over, and started scribbling his work down on paper. Now that’s someone who belongs with Love Math Club! The festival was a blast for everyone involved. I’m grateful to the PTSA presidents who invited me. Hopefully, we’ll find additional ways to partner with the school to provide test prep and homework help to their students. Could your son or daughter benefit from partnering with a professional tutor?